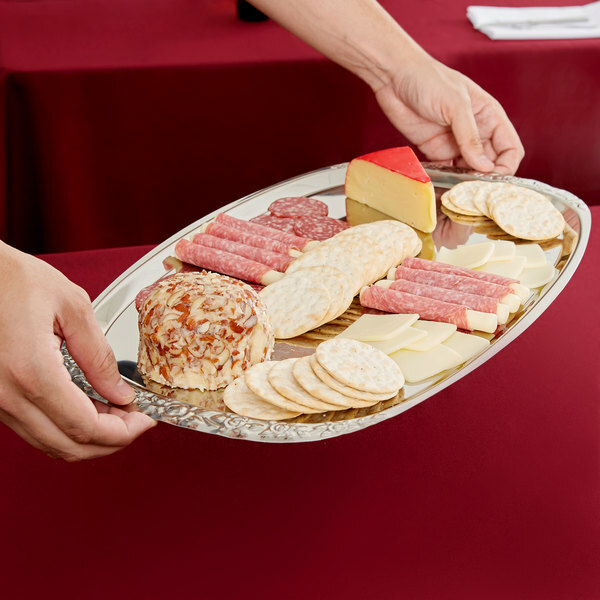 Vollrath 47251 Mirror-Finished Stainless Steel Cater Tray with Embossed Rim 19" x 12 1/4"
Give your buffet or tableside service a fresh look with this Vollrath 47251 mirror-finished stainless steel cater tray. 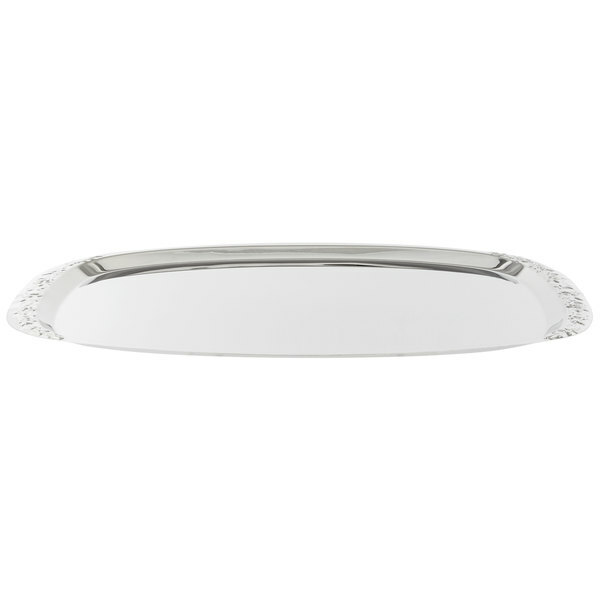 Featuring a sleek, mirror-finish and a decorative floral rim, you can serve appetizers, entrees, and desserts in style. 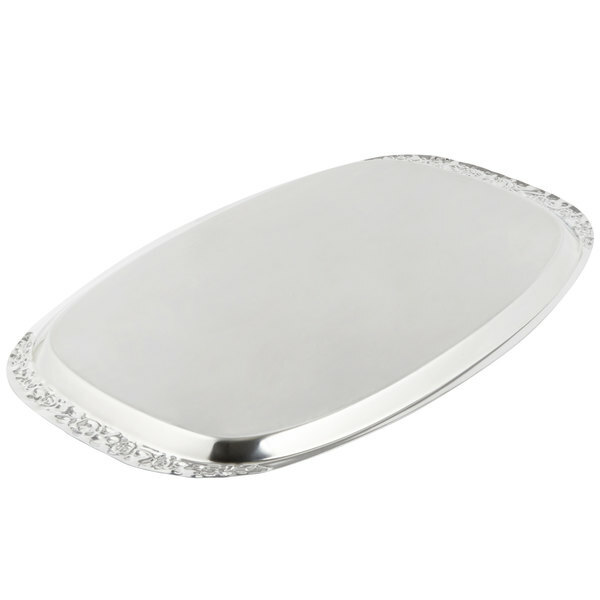 The simple yet elegant design makes this tray an invaluable addition to your foodservice operation. The raised edges keep food in place and provide a comfortable grip as servers circulate around banquet halls and catered events. 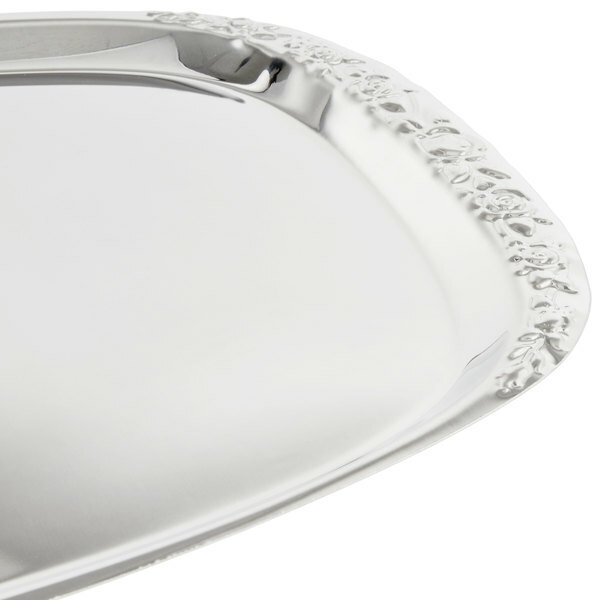 Great for restaurants and catering companies, this tray is a versatile, reliable addition to your serveware collection. 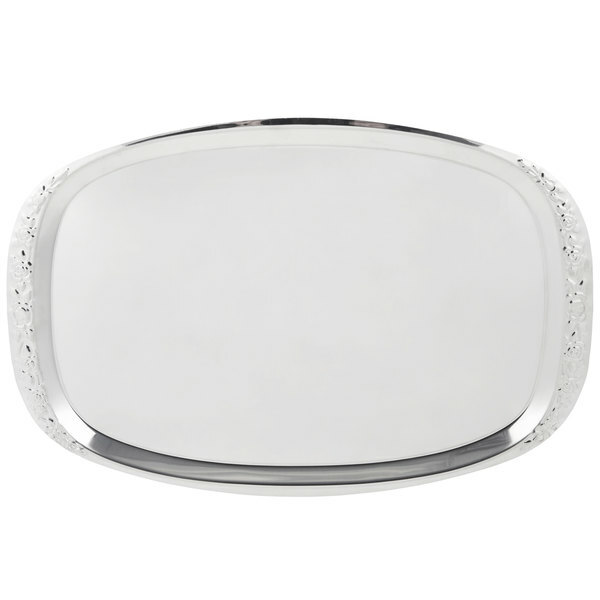 Thanks to its scratch-resistant, non-porous 18/8 stainless steel construction, it's as durable as it is stylish. The stainless steel construction is also non-corrosive to help prevent rusting so you can avoid unsightly spots with proper care. 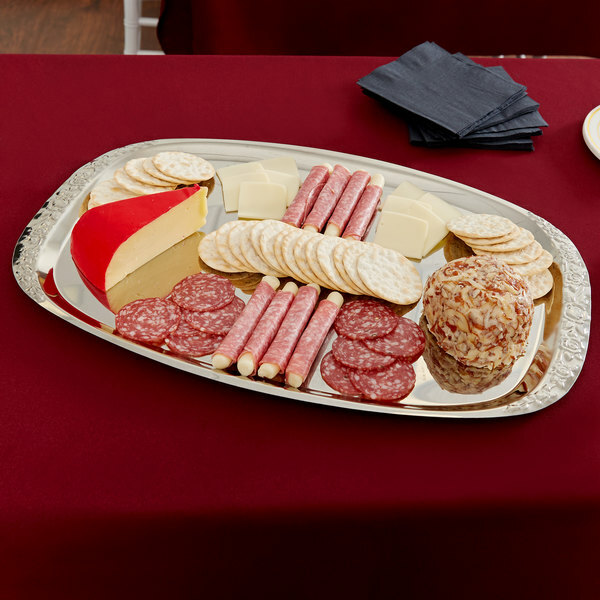 With a surface that is safe for direct food contact, this tray adds convenience and a modern flair to any event! 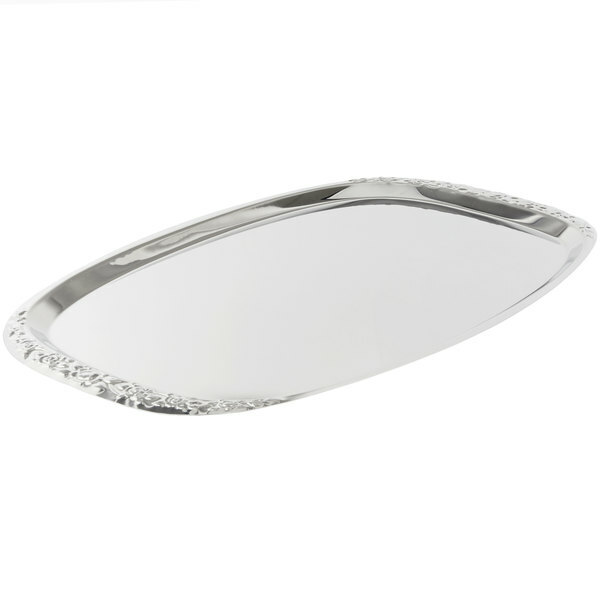 Overall User Rating: Vollrath 47251 Mirror-Finished Stainless Steel Cater Tray with Embossed Rim 19" x 12 1/4"
Very sturdy tray with beautiful mirror finish. Perfect for the display of cupcakes or any other pastry. Will surely be buying more in the future.